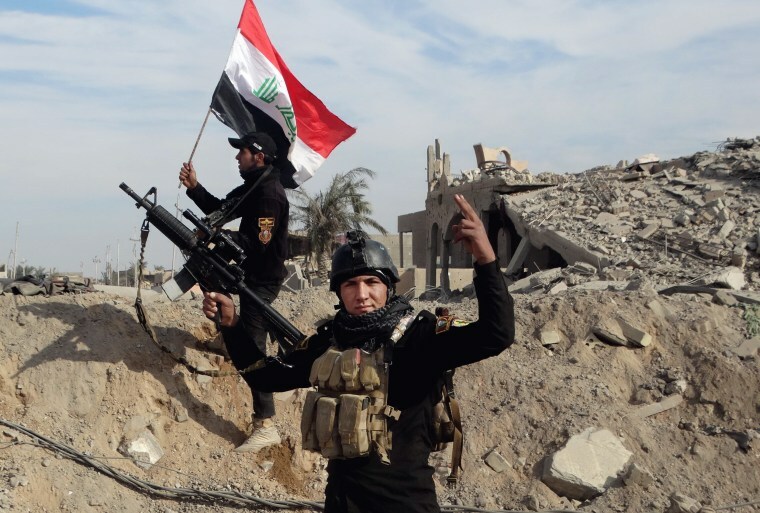 Iraqi forces seized a former government compound in Ramadi, claiming a key victory in their battle to recapture the city from ISIS. 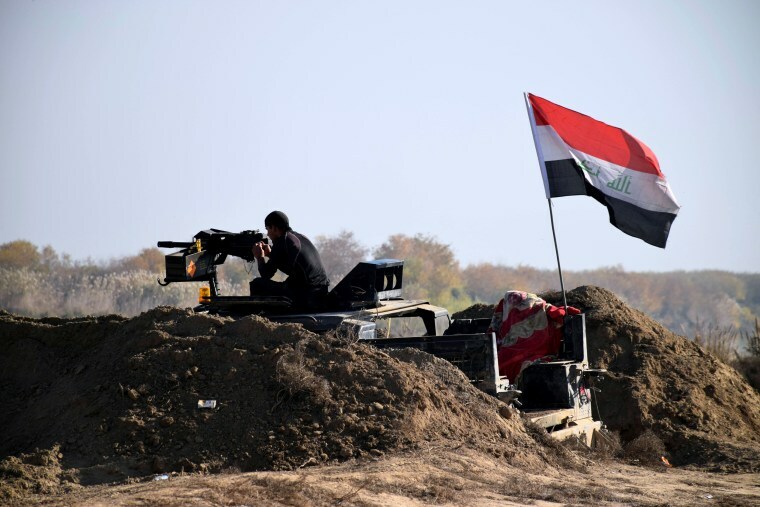 Iraqi military forces advance towards central Ramadi on Dec. 25. The soldiers were consolidating their positions on Friday ahead of a planned final assault to capture the city. 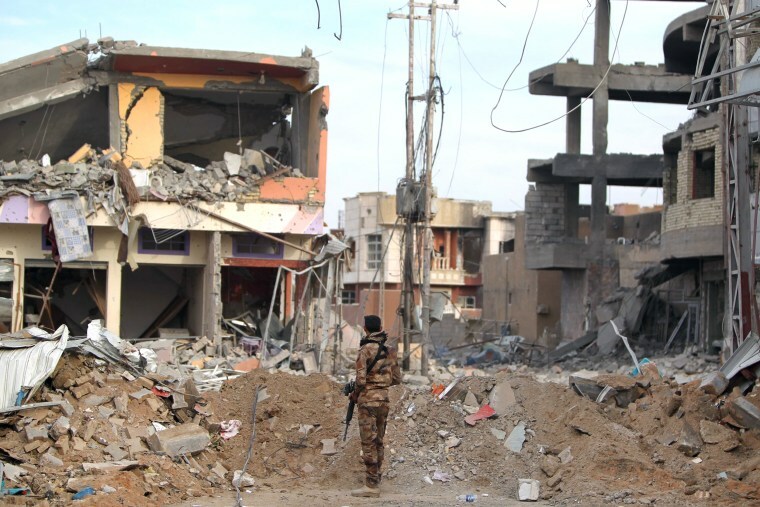 A soldier with Iraq's counter-terrorism forces monitors his surroundings in Ramadi's Dhubbat neighborhood on Dec. 25. 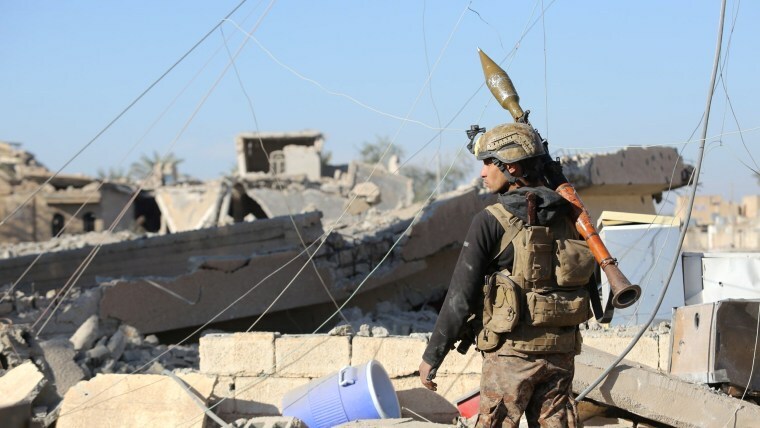 Elite forces from the counter-terrorism service (CTS) faced limited resistance when they punched into central Ramadi in a final push to retake the city that they lost to ISIS in May. 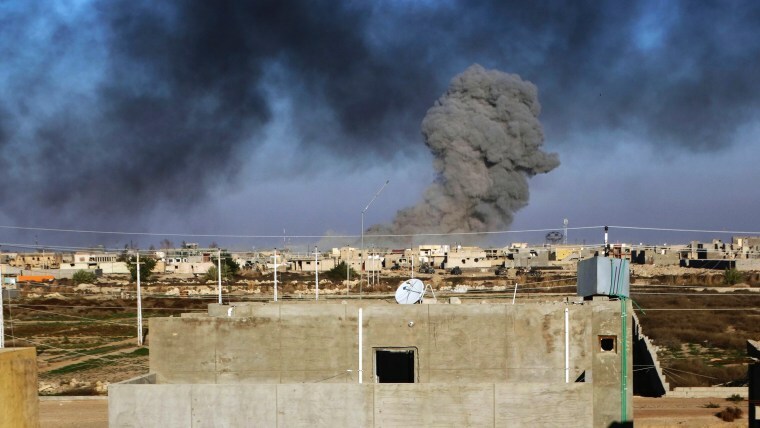 Smoke rises following a U.S.-led coalition airstrike as Iraqi military forces move towards downtown Ramadi, 70 miles west of Baghdad, on Dec. 25. The Wall Street Journal reports that the U.S.-led coalition has conducted at least 32 airstrikes in Ramadi in the past week. 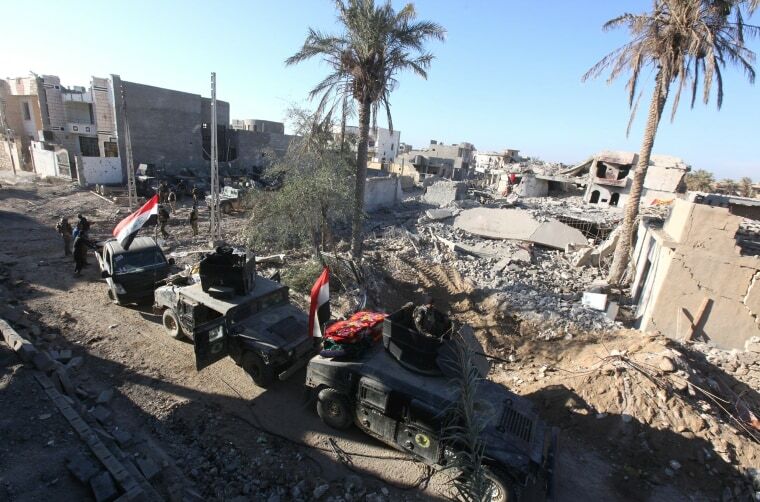 Iraqi military forces drive into the el-Hoz neighborhood of Ramadi on Dec. 26. 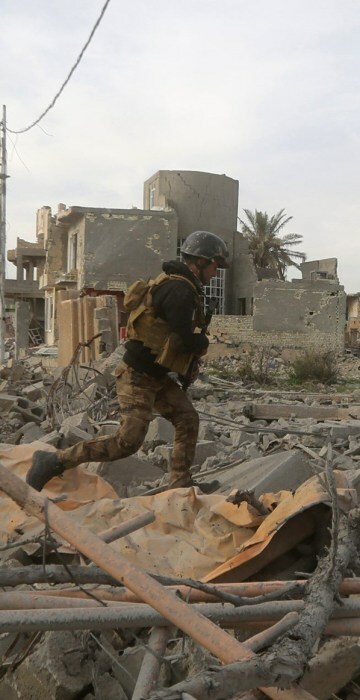 An Iraqi soldier carries weapons with him in the el-Hoz neighborhood of Ramadi on Dec. 26. 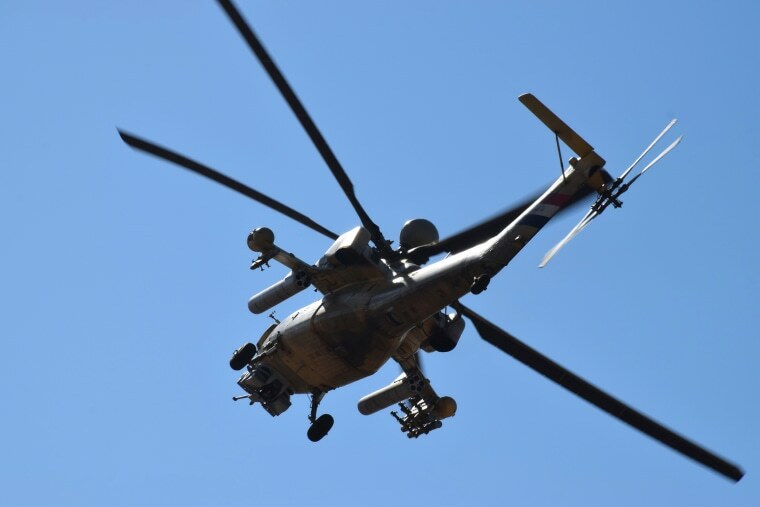 An Iraqi military helicopter prepares to attack ISIS forces as Iraqi military forces enter downtown Ramadi on Dec. 27. 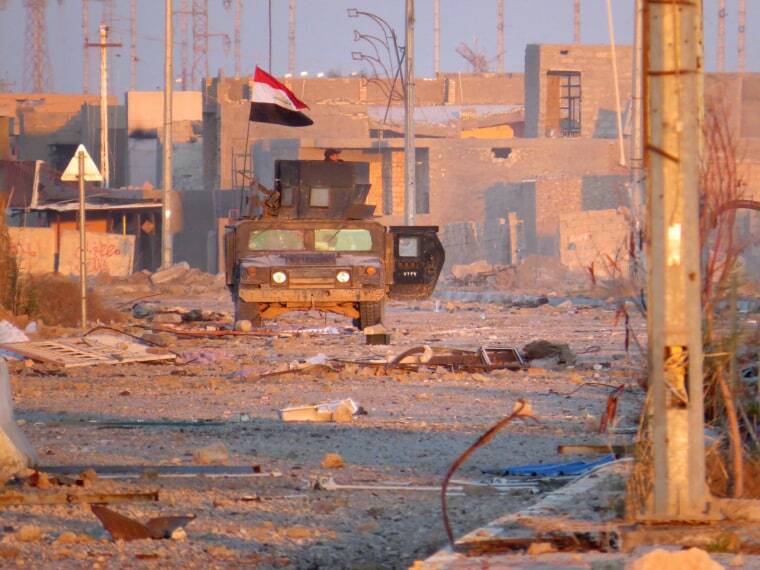 Iraqi soldiers enter the el-Hoz neighborhood in central Ramadi, the capital of Iraq's Anbar province on Dec. 27. Col. Steve Warren, U.S. military spokesman in Baghdad, called the success of this operation "a proud moment for Iraq." 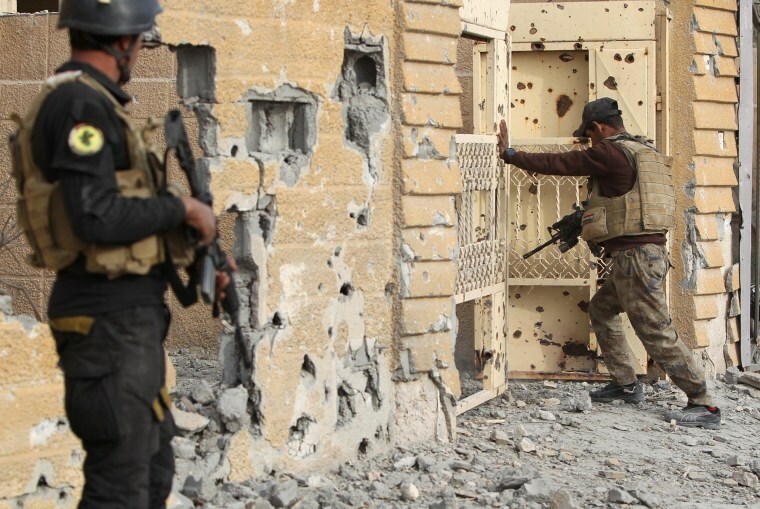 Iraqi soldiers try to enter a building in the el-Hoz neighborhood on Dec. 27. A senior U.S. military official told NBC News that "Iraqi forces may still face heavy fighting within the next few days." 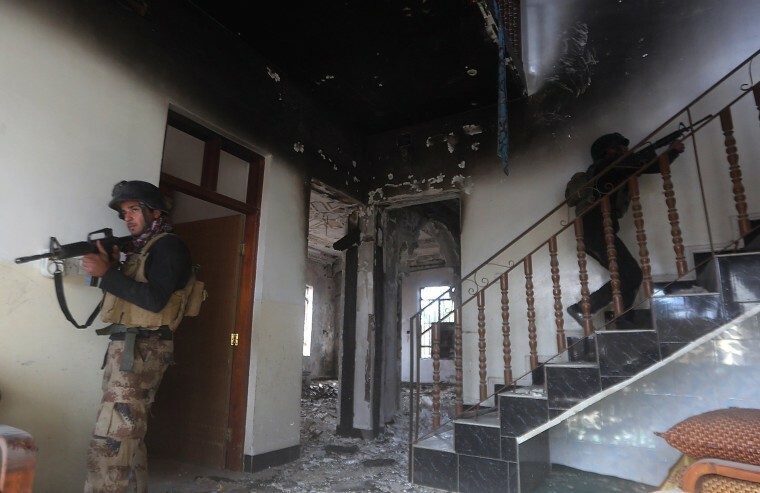 Iraq's counter-terrorism forces search a heavily damaged building on Dec. 27 in the el-Hoz neighborhood. An Iraqi soldier aims at a target in downtown Ramadi on Dec. 27. 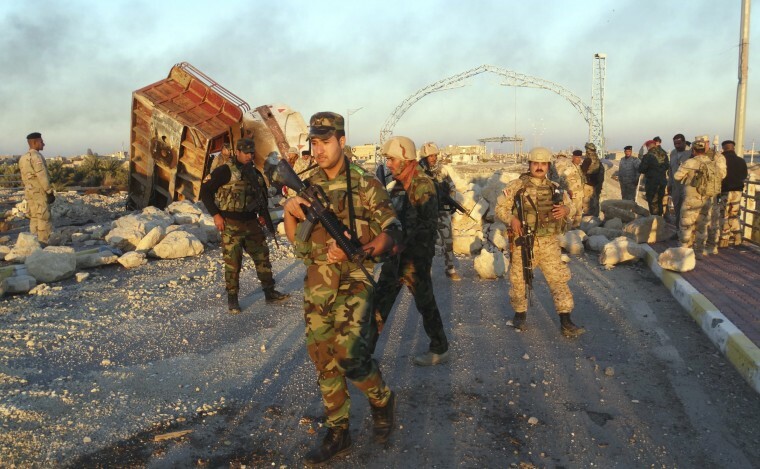 A spokesman for Iraq's counter-terrorism forces told NBC News last week that fewer than 100 ISIS fighters were believed to be in the city. Iraqi security forces member raises an Iraqi flag near the former government compound in central Ramadi on Dec. 27, after it was cleared. 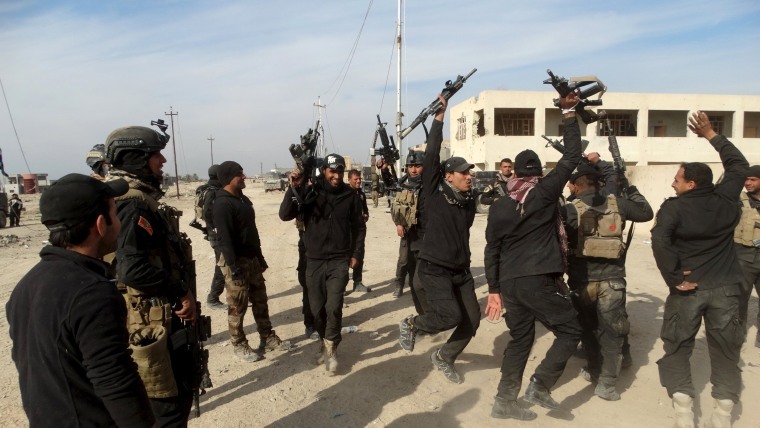 Some officials urged caution and stressed that the battle for Ramadi was not yet over. An Iraqi soldier stands amid the rubble of destroyed buildings in the el-Hoz neighborhood on Dec. 27. Iraqi military forces chant slogans as they celebrate in Ramadi on Dec. 27. 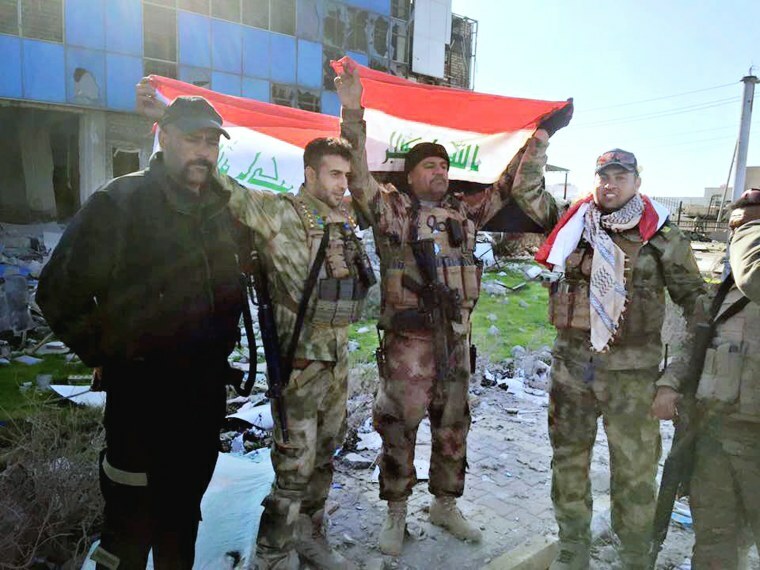 Iraqi soldiers hold national flags at the government compound in central Ramadi on Dec. 28.